I would like more information about 4060 Glencoe Ave 313, Marina del Rey, CA 90292 MLS #19454856. Unique 2 story Townhome. Enter the first floor living space that includes sleek kitchen complete with Breakfast bar, Black granite counters, Cherry wood cabinets black appliances. The Open floor plan has High ceilings, Gorgeous Hardwood floors, Fireplace, Sliders out to Balcony & Convenient first floor Powder room and Laundry. The upstairs top floor is a Master suite with private entrance, High Ceilings, Sliders out to Balcony, 2 walk-in closets & Stylish remodeled Bathroom with walk in shower, beautiful quartz counter top and tiled floor. This is a top floor end unit that feels like a home ÃƒÂ¢Ã‚â‚¬Ã‚Â¦Dual paned windows, Central Heat & Air conditioning, Alarm system & 2 Side by Side parking spaces. The buildings many amenities include Outdoor Pool and Spa, Media room and Lounge, Fitness center, Common area Wi-Fi, Bicycle storage, Dog Park. Live the Marina lifestyle in the still growing areaÃƒÂ¢Ã‚â‚¬Ã‚Â¦Walk to the Marina Market place restaurants, theaters and shopping. Minutes to Playa Vista, Abbot Kinney. Directions: East of Lincoln between Washington and Maxella. The property on 4060 Glencoe Ave 313, Marina del Rey, CA 90292 is listed for $749,000 as MLS #19454856. 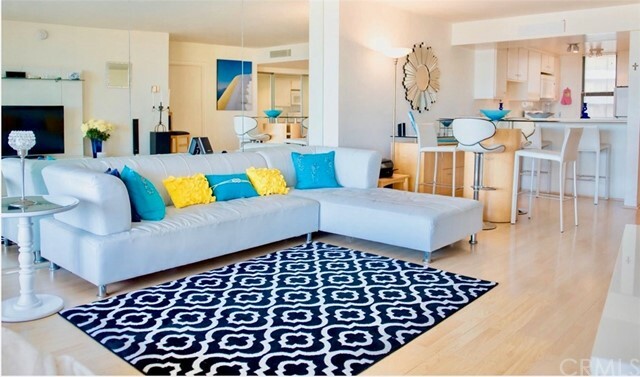 This 1 bedroom, 2 bathroom 980 sqft Condominium built in 2004 located in Marina del Rey, CA 90292. For more information regarding this or any other property in Marina del Rey, please contact us at (424) 272-1339.